and Dr. Ray Ragsdale, sup't. of the Los Angeles District of Southern California-Arizona Conference of the Methodist Church (arriving from European tour on SAS ship at int'l. airport). 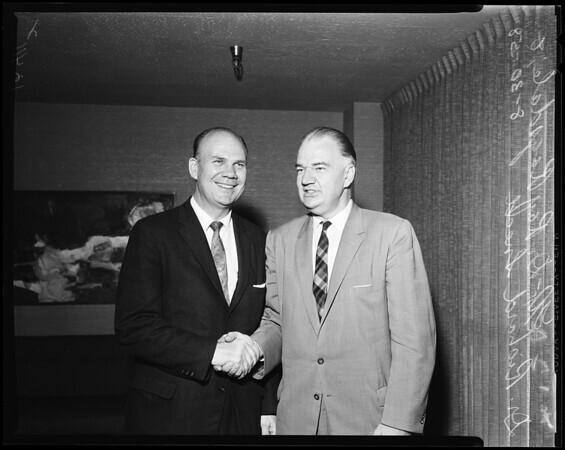 L - R: Dr. Ray Ragsdale, being greeted by Dr. Richard Sneed, pastor of the L.A. 1st M.E. Church."